The Chippewa Valley Roller Derby is Eau Claire’s original flat track roller derby league. 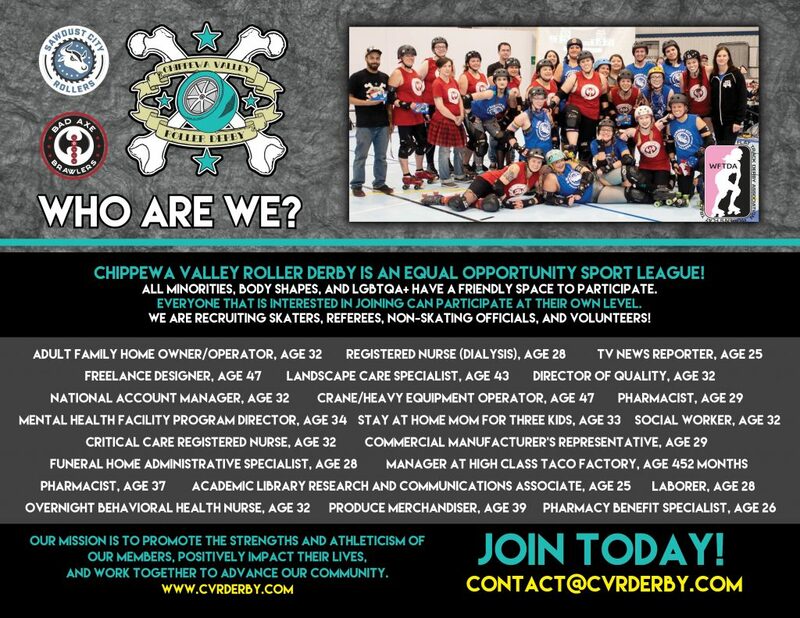 Originally named Chippewa Valley Roller Girls, we now do business as Chippewa Valley Roller Derby. CVRD is managed and operated entirely by the skaters via an elected board of directors and numerous skater-led committees. We work together to put on all of our home events, organize fundraisers, promote and market the league, and maintain relationships with charities in our community. In order to cooperatively cover costs our skaters pay monthly dues and pay for their own equipment. During our season, we practice three times a week and have one or two games per month. During our off-season, the league focuses on recruitment, fundraising, and skills training. 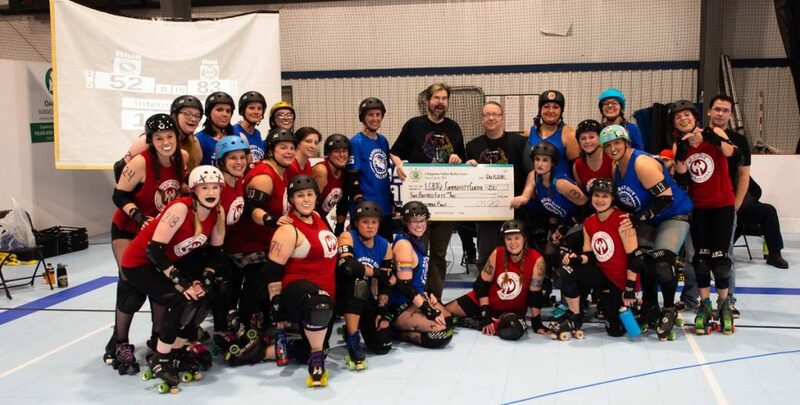 As a non-profit organization, one of our goals is to provide community awareness and financial assistance to local charities through the sport of Roller Derby. CVRD is proud to be an active part in the Chippewa Valley community by holding events and donating our time and resources for the betterment of local charities.